Fleischer Studios operated successfully in New York City from the earliest days of animation until shortly after their relocation to Miami, Florida and their bankruptcy in the early 1940s. 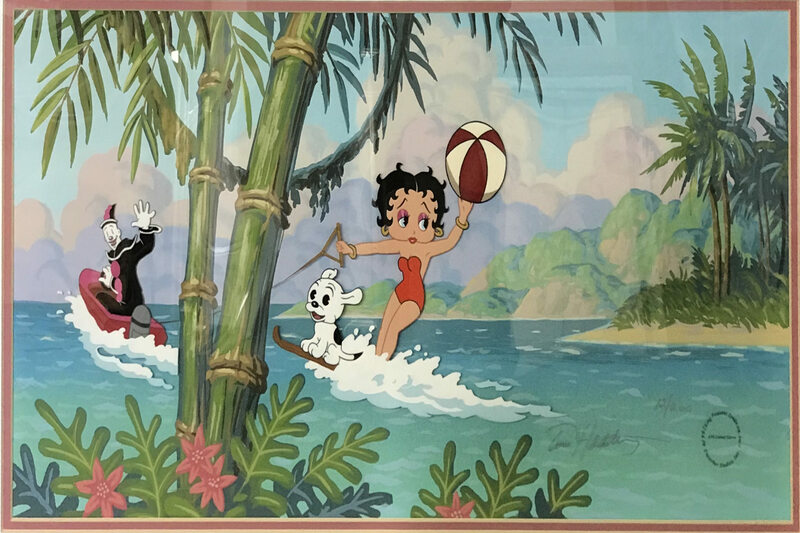 Some of the wonderful characters that emerged from the studio included Betty Boop, Popeye the Sailor and Superman. Gulliver's Travels was one of their feature films that still can't be topped artistically for style. This incredible art is almost impossible to find any longer and is in great demand. 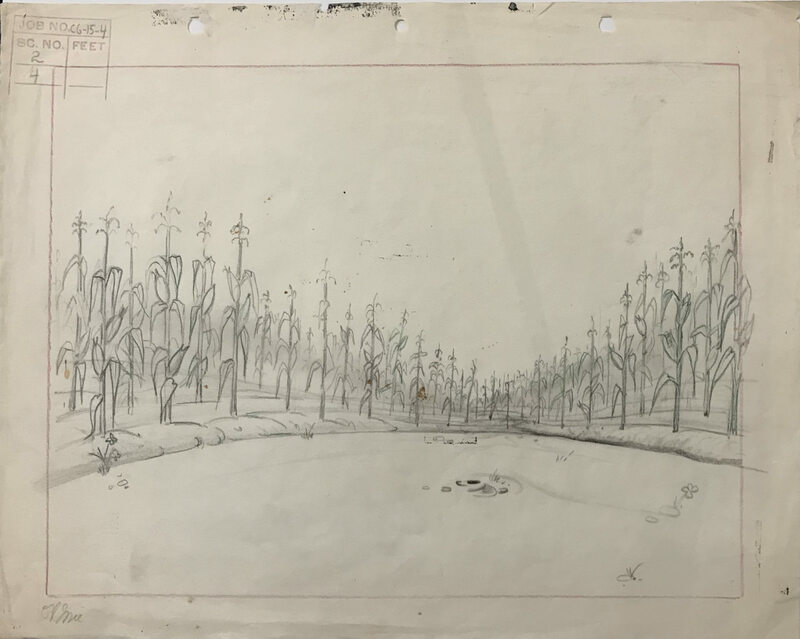 Below is our selection of animation art collected over the years from Fleischer Studios. BEAR CUB 1940’S Drawing of a Girl Bear Cub Sniffing a Flower. From the Collection of Dave Tendlar. POPEYE 1940’s Original Art Design of Popeye Coloring Book Cover. Samuel Lowe Co.
MISTER BUG GOES TO TOWN 1941 Original Publicity Still of “Smack the Mosquito” Model Sheet Used in Republic Pictures Campaign Book. Note Odd Ring Binder Hole Punch at Left. EDUCATED FISH 1937 Original Pencil Model Sheet of Six Images of the Educated Fish. BEAR CUBS 1940’S Drawing of Two Bear Cubs, One with a Lollipop. From the Collection of Dave Tendlar. GULLIVER’S TRAVELS 1939 Animation Drawing of a Love Bird. Ref. #25C. GULLIVER’S TRAVELS 1939 Animation Drawing of a Love Bird. Ref. #29C. BEAR CUBS 1940’S Drawing of Two Cute Little Bears. From the Collection of Dave Tendlar. BIRD MODEL SHEET 1940 Animation Model Sheet of an Adorable Little Bird. From the Collection of Dave Tendlar. BEAR MODEL SHEET 1940 Pencil Model Sheet of a Bear in Various Different Costumes. Four Images, Trimmed and Pasted to One Sheet. From the Collection of Dave Tendlar. MR. BUG GOES TO TOWN 1941 Full Color Storyboard Drawing of Honeybee’s House. 3 BEARS MODEL SHEET 1940’S Animation Model Sheet. Three VIews of the Girl Bear. Color Pencil on Paper. From the Collection of Dave Tendlar. MISTER BUG GOES TO TOWN 1941 Original Publicity Still of “Jeepers Creeper” Model Sheet Used in Republic Pictures Campaign Book. Note Odd Ring Binder Hole Punch at Left. 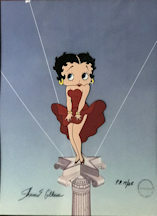 FLORIDA MARLINS BETTY 1992 Betty Boop Signed Limited Edition Cel Depicting the Florida Marlins Baseball Team Logo. #14/125. Betty Boop Hand-Painted Limited Edition Posing as Marilyn Monroe. Printer's Proof, #17/25, Signed by Shamus Culhane. Overall Size 12 x 15 Inches. N.Y. METS BETTY. “MOST VALUABLE PLAYER” 1992 Betty Boop Limited Edition of N.Y. Mets Betty Signed by Gregory Neyman. AP #7/25. Hand-woven rug or wall hanging depicting Betty and the US flag on an orange field. Overall Size 24 x 36 Inches. Background Layout of a Corn Field. From a Max Fleischer Cartoon. Production #C6-15-4, Sc. #2 & 4. Hand-woven rug or wall hanging depicting Betty and Bimbo in the tropics. Hand-woven rug or wall hanging depicting Betty and the US flag on a Blue & Purple field. GULLIVER’S TRAVELS 1939 Full Cel of Two Lilliputians Picking Up Gulliver’s Spyglass. Betty Boop Hand-Painted Limited Edition of Tropical Paradise. #12/200. Signed by Tim Hildebrandt. Has APG COA on back. Overall Size 12 x 24 Inches. 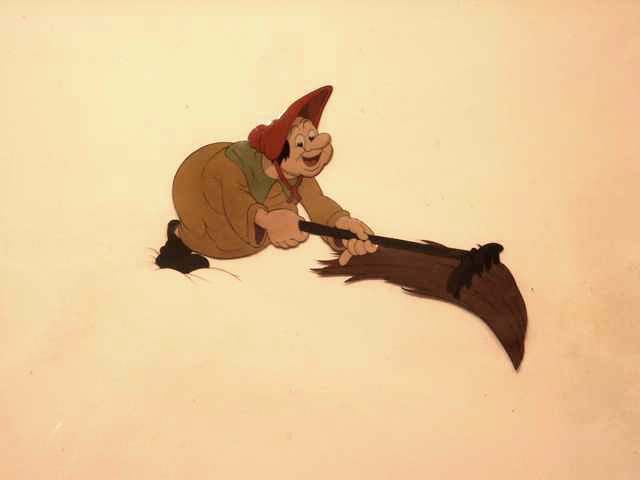 GULLIVER’S TRAVELS 1939 Production Cel of a Village Woman Raking Gulliver’s Hair. 2 BEARS MODEL SHEET 1940’S Animation Model Sheet of a Boy Bear and a Girl Bear. Red Pencil on Paper. From the Collection of Dave Tendlar. GULLIVERS TRAVELS 1939 Watercolor Background from Gulliver’s Travels Depicting the Earth and Sky. WIMPY’S CAFE-SOLD OUT 1991 Myron Waldman Limited Edition of Popeye and Crew Titled “Wimpy’s Cafe.” #175/250. GULLIVER’S TRAVELS 1938 Xerox model sheet of Gabby. GULLIVER’S TRAVELS 1938 Xerox model sheet of Sneak spy..
GULLIVER’S TRAVELS 1938 Xerox model sheet of Snoop Spy. GULLIVER’S TRAVELS 1938 Xerox model sheet of Snitch Spy. GULLIVER’S TRAVELS 1938 Xerox model sheet of the 3 spies. JEEPERS CREEPERS MODEL 1940 Xerox model sheet of Jeepers Creepers, the snail. MR. BUG GOES TO TOWN 1941 Xerox model shet of various characters from Mr. Bug Goes to Town. MR. BUG GOES TO TOWN 1940 Xerox Model Sheet of Mr. Bumble. MR. BUG GOES TO TOWN 1940 Xerox Model Sheet of Smack the Mosquito. MR. BUG GOES TO TOWN 1940 Xerox Model Sheet of Swat The Fly. 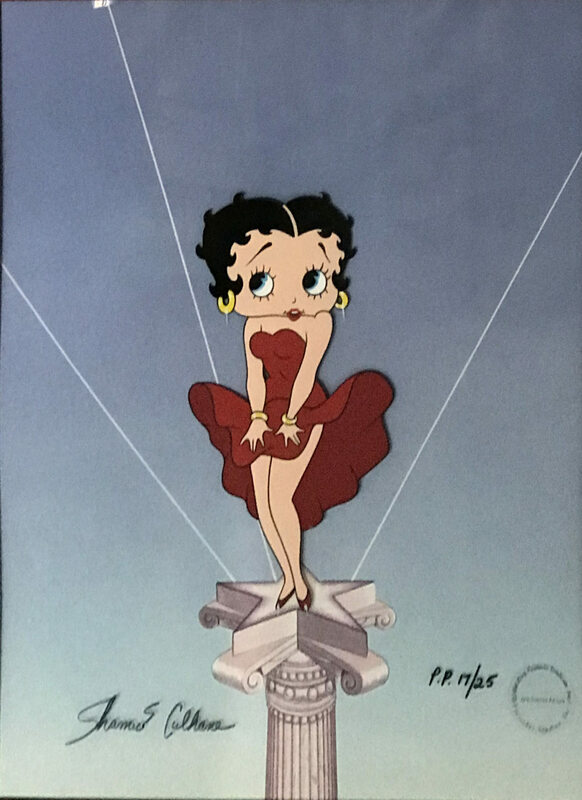 After the bankruptcy of Fleischer Studios, Paramount acquired the rights to the character animation and moved the operation to New Rochelle, New York where Famous Studios seamlessly picked up where Max and Dave Fleischer left off. Be sure to take a look at our selection of original artwork from Famous Studios.